I was sitting on the platform of a Christian parenting conference looking out over the audience. This was one of those end-of-the day “Q&A” sessions where all of the exhausted main speakers field questions and try to think on their feet. One of the other speakers had the microphone and was replying to a question by waxing eloquent about the wonderful virtues of fathers being leaders in their homes. 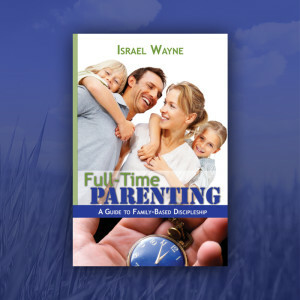 His general synopsis was that if dads would not get involved in leading their wives and children, and take seriously their responsibility to raise their own children, we could expect to see an entire generation of young people go off the deep-end spiritually and morally. He cited statistics of what happens to young people who are raised in homes where the dad is not actively involved in their lives. He raised the issue of the breakdown of the American family and how divorce was wrecking havoc on young lives. He stated how children are much more likely to be involved in violent crime, experience unwed pregnancies, experience domestic abuse in their marriages, get divorced themselves, and on and on, if the parents are divorced and/or the father is not actively leading the family. It was a rather surreal moment for me. Knowing that the microphone would soon be passed to me for my comment, my head was spinning. I found myself wanting to nod my head in approval and shake it in protest all at the same time. On the one hand, he was so right. As a chaplain in the Juvenile justice system I’ve asked about 300 young men about their relationships with their fathers. Most of the time they never knew their dads, or their fathers were completely absent from their lives. I only remember one or two cases where a young inmate said he had a good relationship with his father (and those were first-time minor-incident offenders). I heard just this morning on the radio that 70% of all juvenile offenders have had no positive involvement from their fathers at all. The facts seem clear to me, young men with proactive fathers just don’t end up in juvenile crime. He was so right. In spite of my general agreement, another part of me felt really awkward. If this view was correct, then without a godly father in the home, are children are merely doomed to languish in spiritual lethargy and/or moral decadence? How could I explain my situation? My parents divorced when I was six. My mother, who was not a Christian at the time, remarried and I lived with a very physically abusive stepfather for the next nine years, until he found someone else and moved on with his life. 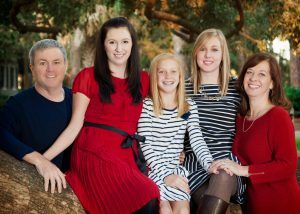 We were not exactly the poster family for godly Full-time Parenting! I could identify experientially with everything the other speaker was saying. At fifteen years of age, I too was becoming a statistic. I was becoming angry, violent and bitter. Our family was a mess and getting worse all the time. When I was twelve, my mother met God. She wasn’t out looking for Him. He just intervened in her life in an amazing and powerfully transformational way. Her “Damascus Road” experience was enough to get the attention of myself and my five sisters. I’ve never seen anyone get as sold out to Jesus as my mom did. She’s still the most radical Christian I know (after nearly 25 years!). When she met Jesus we were living in poverty, fear and defeat. We had been through welfare, battered-women shelters and homelessness. We knew what it was like to be dysfunctional. We had no idea what it meant to be a godly family. Even churches didn’t want us showing up for services because we made them look bad. Now, so many years later, I hardly recognize us as the same people. The difference is 180 degrees. The fact that God has seen fit, in His divine providence (and sense of humor), to give us a national ministry to families is beyond comprehension. In God’s great mercy and kindness, He allowed my wife Brook and I to start our marriage off on the right foot. We had a clean slate and have had no regrets in our marriage. We have seven beautiful children (so far) who bless us every day. We are excited about teaching and training them in the ways of the Lord. We are blessed that we get to teach other people the Biblical principles that we have learned about godly family relationships. I’m spoiled rotten. I can trace all of these covenant blessings back to one decision, and it wasn’t mine. My mother, looking at the prospect of raising six children all alone, with no husband and no financial security, decided to trust God with her whole heart. Proverbs 3:5-7 are verses that she has lived out consistently. Everything that I have received in my life from the hand of God began initially as the result of her faith. My mother humbled herself and received God’s grace (James 4:6). We found God to be the husband to widow and father to the fatherless (Psalm 68:5). God proved Himself to be sufficient for us in every way. Those that honor God will be honored by Him (1 Samuel 2:30). My mother had nothing going for her except the fact that she trusted God completely. She didn’t even finish 9th grade! She had no job skills and no means for making a living. When she became a single parent, we didn’t even own a car! We had no chance at all of making anything of our lives. There was only one word that stood between us and utter ruin: Grace. When God intervenes in a situation, He does the impossible. He uses the foolish things of this world to confound the wise. He uses the weak things of this world to confuse the strong. He can take a family that is messed up, full of bad choices and mistakes, and He can make something beautiful of all the mess. It just takes absolute surrender. It takes throwing yourself on the mercy of God. It takes giving up and refusing to try to run your life one day longer. It means letting Christ take control of every facet of your existence. He wants complete, total and final Lordship of everything that you are. Now don’t get me wrong. I’m not down on men taking leadership in their homes. Because of what I’ve lived through, I think I am way more intentional about taking my place as head of my home than most other men I know! I’m intense about fathers leading their children in family worship and being godly role-models. I’m all about Malachi 4:6 and seeing fathers turn their hearts to their children! What I’ve learned, however, is that if God uses a man to lead his family in paths of righteousness, and his children learn to walk in truth through his instruction and nurture, that is a work of grace. If God raises up a generation of men who are not going to wimp out like the generations before them (and I see this happening all over the country! ), that is a work of grace. If the Christian community is carried into the next generation on the shoulders of Godly men who love their families and lay down their lives for their wives and children…that is a work of grace. The point is, it really isn’t about us as fathers, at least not ultimately. It’s all about grace. It isn’t about faithful single parents who lead their children as the lone sanctifying spouse. It isn’t about Christian mothers trying to do their best while living with abusive, ambivalent or non-Christian husbands. It’s all about grace. As much as I love my mother, and thank God for her faithful example…it really isn’t about her. It’s all about grace! Anything good that we have in life is an undeserved gift from God’s hand. The way we avail ourselves of that grace is through humility. We have to come to the end of our rope and admit that there is a God, and we are not Him. When we are finally broken and surrendered to His will alone, He will raise us up. Whether you are a single-parent or a faithful Bible-teaching, leader of your home, it isn’t ultimately about you. It’s all about God and His marvelous grace. Throw yourself on the merits of Christ and watch in amazement what He can do in and through you and your family. 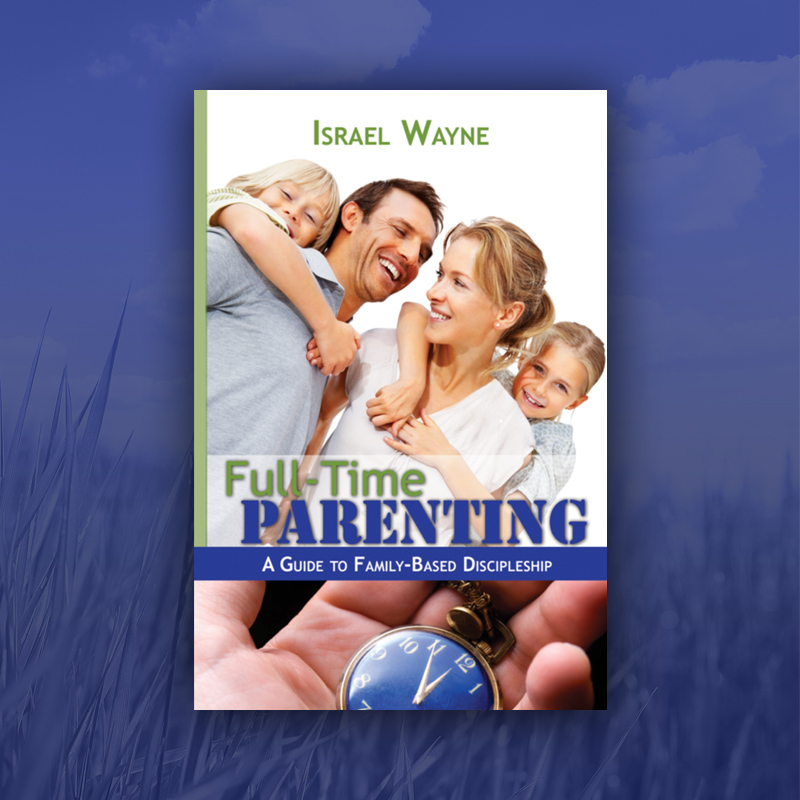 This article is excerpted from Israel Wayne’s book, Full-Time Parenting: A Guide to Family-Based Discipleship. Well, I am adding this book to my list of need to read books. I love your thoughts of grace. We do forget sometime to remember that is HUGE in any equation. Sharing this on my fb page. Looking forward to learning more. Wow! Was blessed to attend one of your church-based revival conferences in Chardon, OH. What a testimony to God’s faithful love for His people. I absolutely love your focus on humility as the means to access and appreciate the gift of grace. Godspeed to you and your family ministry! Thank you Israel and Brooke. So many of us forget the forgiveness of our Lord and the transforming power he bestows on us who believe. I too was a hopeless case more than 40 years ago and after I gave my life to Christ it was still a constant battle; with my sin nature, with my ignorance of God’s Word, and on top of that an unbelieving spouse. Yet we began our homeschool journey trusting Christ’s promises, and He was faithful to watch over us and provide. Homeschoolers and non homeschoolers, believe on the Lord Jesus Christ and abide in his Word. “(We) can do all things through HIM who gives us strength”. And spread the saving Gospel message.